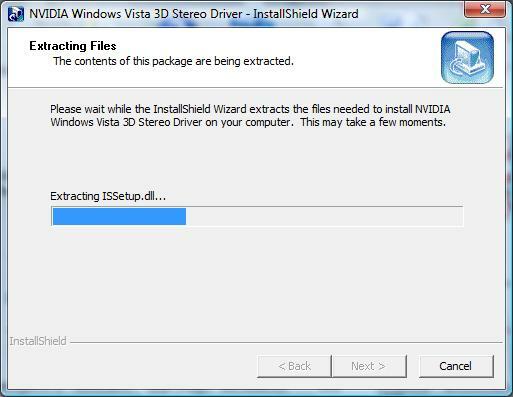 Nvidia has released a new Full driver CD version 1.20 for 3D Vision owners containing both the GeForce and the 3D Vison drivers version 196.21. What is the most significant change in this driver release is the addition of beta support for Tripple/Quad SLI VGA setups for owners of really high-end PCs (beta means you might still have trouble making it work!). The new driver also support for Alienware OptX AW2310 120Hz LCD monitor and Acer GD245HQ/GD235HZ 120Hz LCDs, although they worked with version 1.18 too. There are also fixes that are supposed to resolve the issues for people having problems with using the Generic DLP mode or CRT displays with 3D Vision (anyone with such please report if they fixed the problem with detection). And as last, there is also a new game profile for the recently released game Dark Void. Please note it is recommended that you disable dynamic shadows for this game!